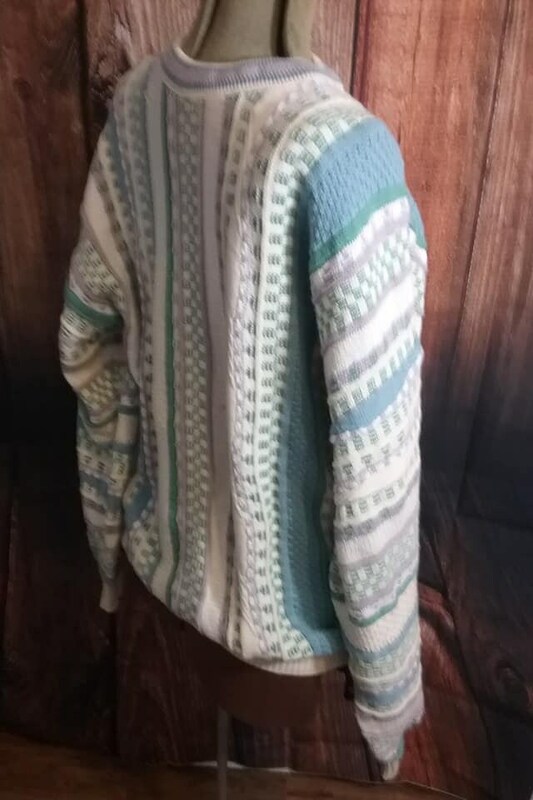 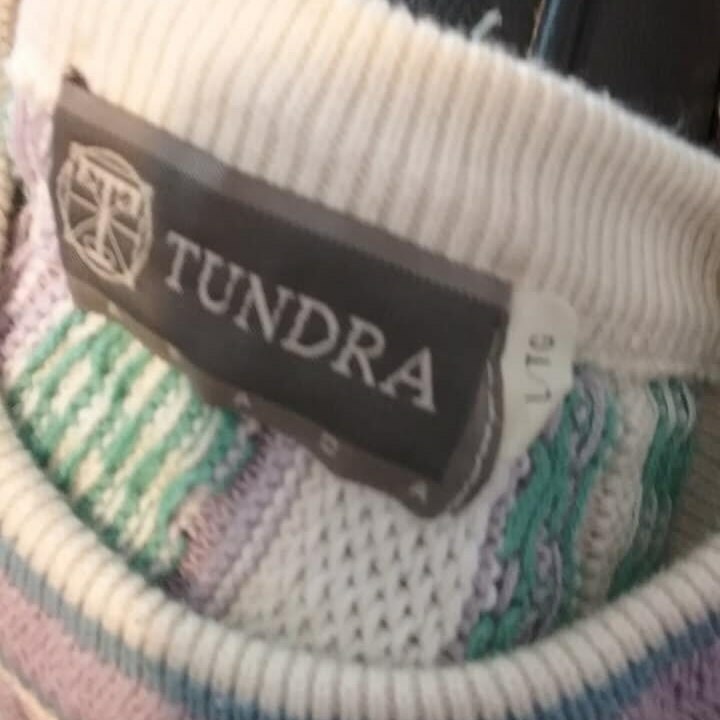 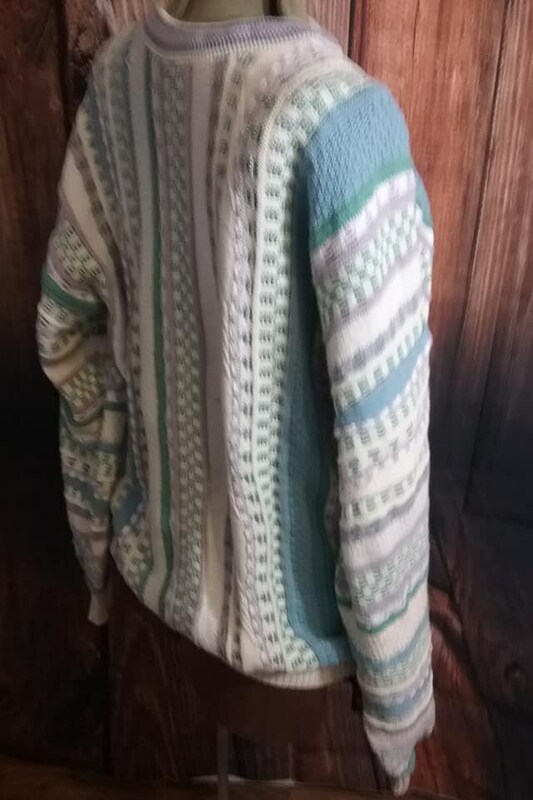 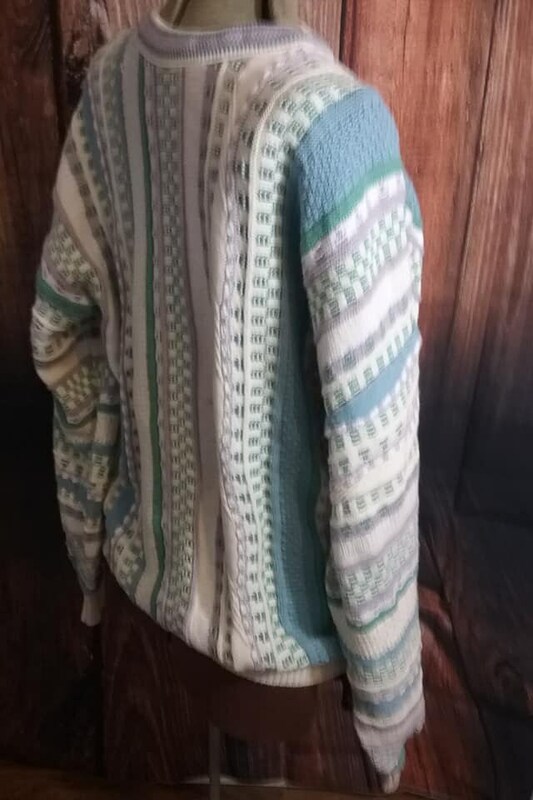 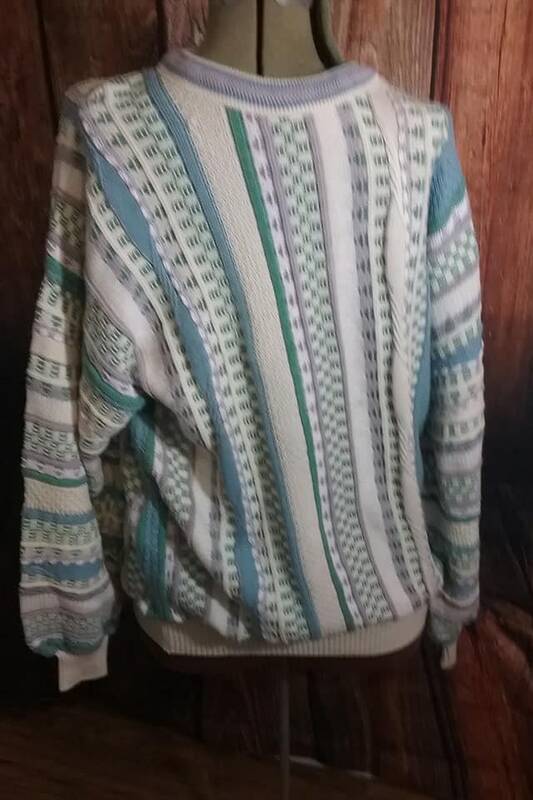 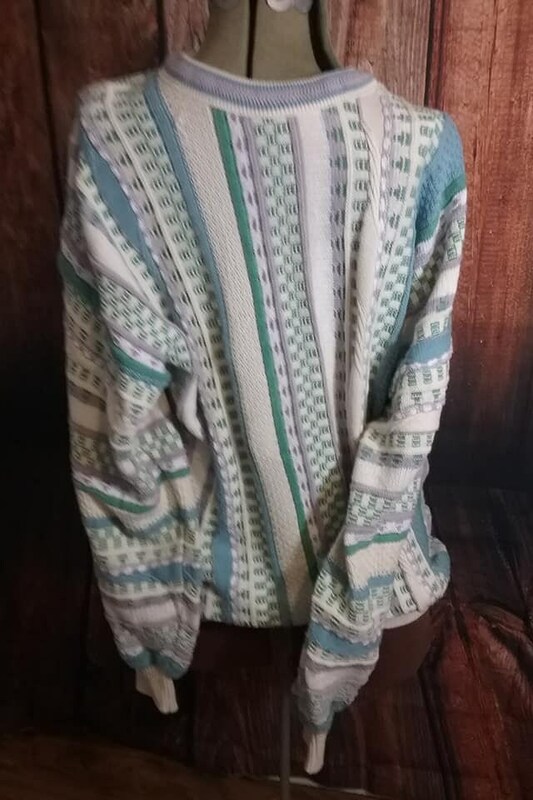 Vintage Coogi style Tundra knit crew neck sweater. 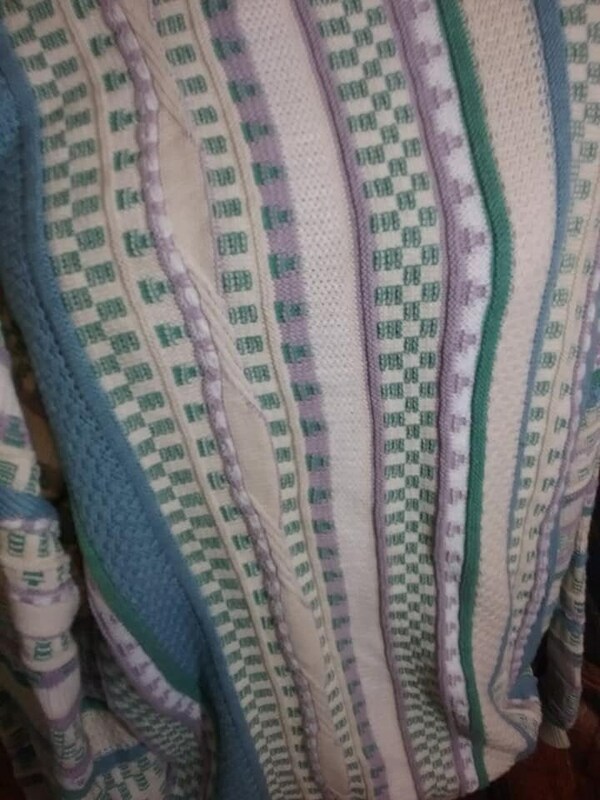 Cream background with light shades of blue, green, mauve and yellow....perfect for Spring! 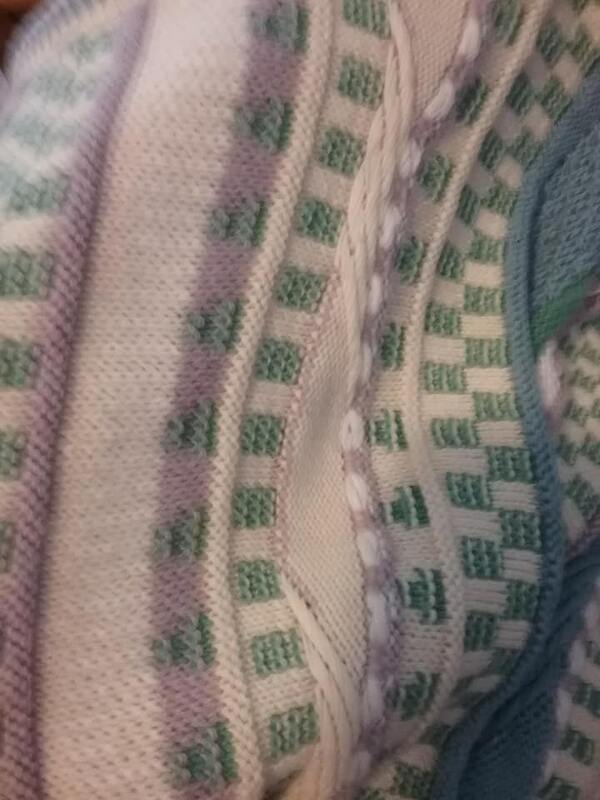 Measurments: pit to pit - 22.5", length - 28.5", and sleeves from collar to cuff - 32". 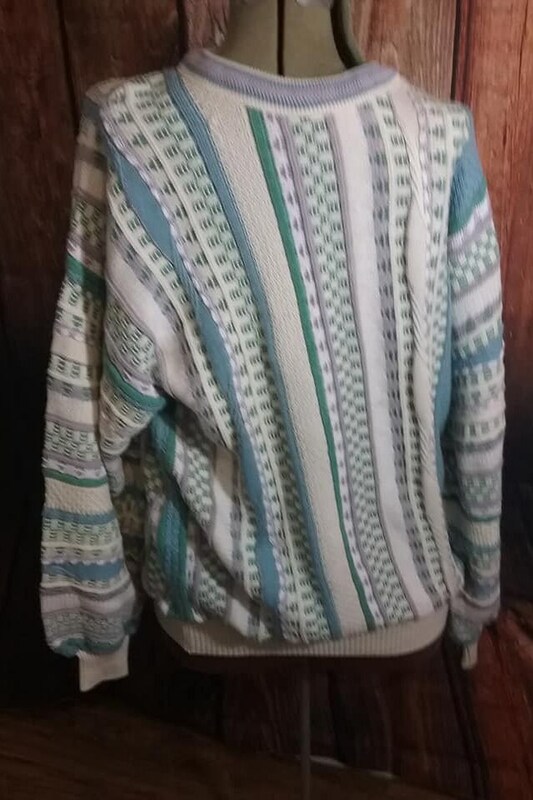 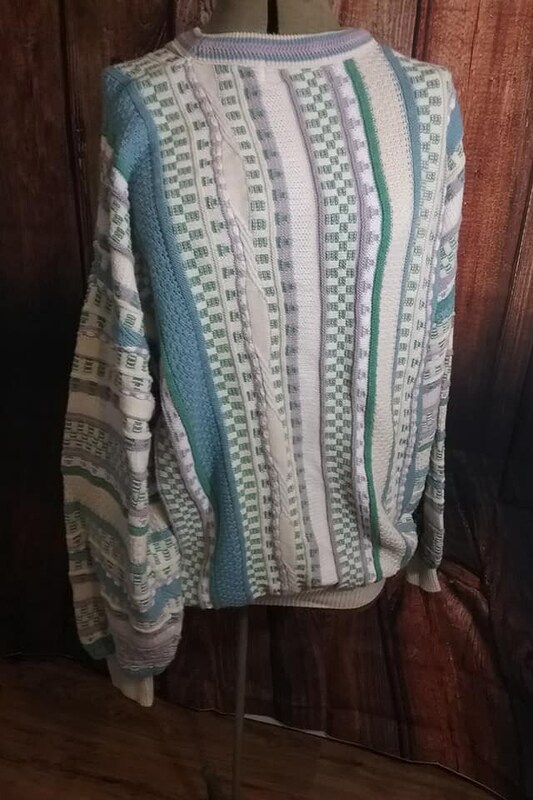 This sweater is in very good vintage condition, no holes or rips, perhaps a small pull, or mark difficult to see.